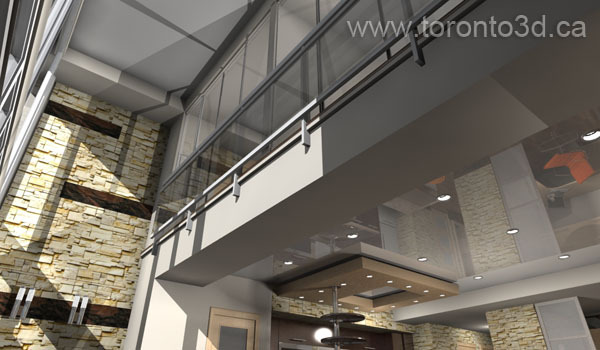 This apartment building centrally located in downtown Toronto in a beautiful area. Young family bought two bedrooms duplex apartment with city views and balcony. This apartment’s design offers second-level bedrooms open to main floor living. This is inconvenient because the bedrooms don’t isolated each other and living room. The owner wants to put windows all bedrooms. 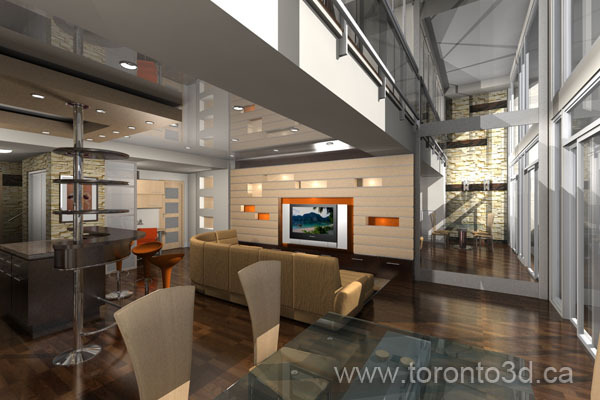 He wants to have four zones to their living area: the kitchen, dining room, office and living. We create Kitchen Island which continued in the bar. This is convenient for breakfast or a wine party with friends in the evening time. Dining table and chairs we placed in a niche of open space by the window. Thereby increasing room height and breadth. We placed a small office in the closet. The wall was removed and put French doors with frosted glass If necessary, you can close the door and nothing will interfere to work. On the central wall placed open and closed shelves with a niche for the TV. 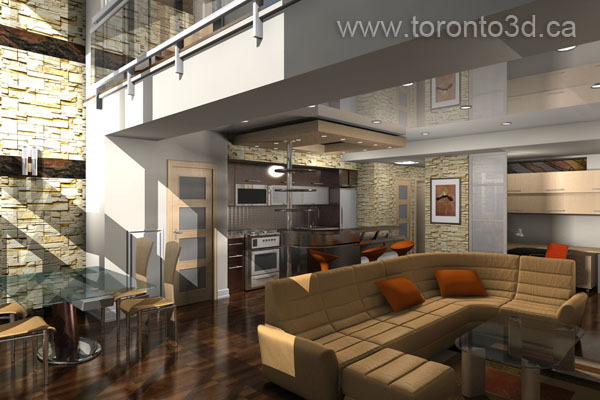 Living area separates the kitchen from the large corner sofa. Stretch ceilings bright visually uplifting room. 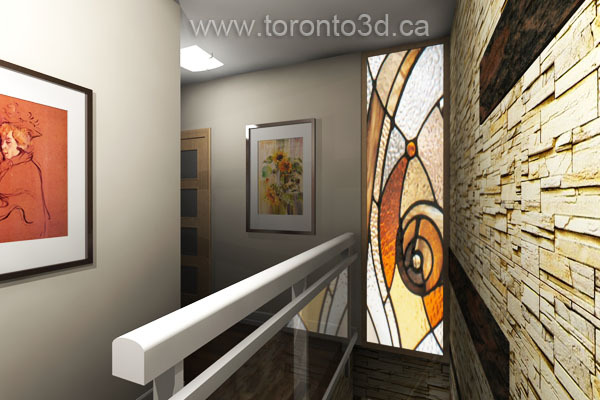 Light box was put in the corner niche on the stairs. The Light box gives additional lighting. Two large windows get daytime lighting in the bedrooms.